I was at Pacific Century Technology Sdn Bhd, Kuchai Entrepreneur Park to renew my blog domain name, Stephenblogs4u2c.com as it going to expire soon. After the payment to the company, I went to NEP Diamond Marketing Sdn Bhd, Seri Kembangan to claim back the rebate for my Diamond Master Filter. This unit was installed at my home at Seremban 2 as rental unit last 5 years. Since the installments have reached it final payment, I am eligible to get back the rebate as stated in the rental contract. The Diamond Master Filter was installed outside the house in order to protect my Water Treatment System inside the kitchen. Without this unit, treatment carbon filter will be needed to wash frequently and indirectly the muddy water reduced the lifespan of the filter. 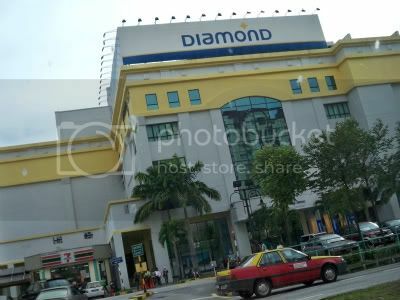 While driving pass the NEP Diamond’s building, I asked my honey to snap this picture. Later we goes to Giant, Taman Connaught, Cheras. 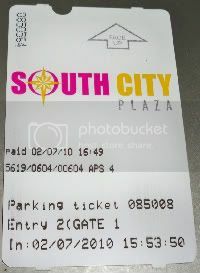 I made payment for my DIGI bills (Blackberry & Broadband) then we goes to do some shopping. My honey captured these sunset pictures when I driving home along Cheras – Petaling Jaya Highway. Center Meeting will be held at Serdang Raya, every Thurday night. Those interested to join, welcome to contact me. Looking for a woman who will accept me with open heart when I said "I miss you" or "I love you" not the one who run away, ignored me, treated me like an enemy or just ended the friendship. This is the best women can do? What a coward act!